Assists corporate counsel in advising management on methods of avoiding, resolving, or containing problems with minority shareholders. Includes fiduciary duty to minority shareholders, the right of minority shareholders to participate in management, and contractual methods of preventing or resolving disputes with minority shareholders. 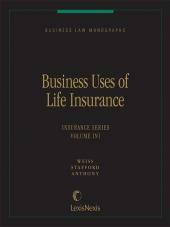 Business Law Monographs, Avoiding and Resolving Disputes With Minority Shareholders, assists corporate counsel in advising management on methods of avoiding, resolving, or containing problems with minority shareholders. Chapter 1describes the fiduciary duty owed by management and majority shareholders to minority shareholders. The chapter describes how the general legal standards have been applied in cases involving freeze-outs and negotiated stock purchases, and how a management engaging in such transactions can establish a record demonstrating compliance with these legal standards. Chapter 2 helps counsel analyze the potential for disruptive minority action under a given corporation's charter, bylaws, and governing statute, and describes the advantages and drawbacks of the various legal methods of precluding minority shareholder problems. The chapter gives a significant amount of attention to compliance with the federal and state disclosure requirements that arise when the action to be taken entails a shareholder vote. Chapter 3 is concerned with contractual dispute resolution. 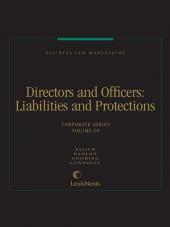 The chapter describes the function and drafting of shareholders agreements, which typically are written to set ground rules to avert future disputes. Attention is given to the negotiation of the common features of such agreements: voting arrangements, restrictions on stock transfer, and restrictions on stock issuance. The chapter then discusses standstill agreements, which typically are negotiated to neutralize an existing threat to the control of a publicly held corporation. The typical elements of such agreements- limits on minority stock ownership and restrictions on transfer-are described in separate subsections. Chapter 4 deals with corporate and majority shareholder actions intended to reduce the ownership position of dissident minority shareholders. The categories of transactions addressed in this chapter include corporate stock repurchases, majority shareholder purchases, recapitalizations, reverse stock splits, and cash out mergers. 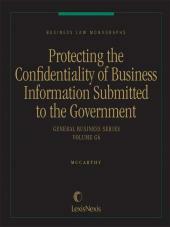 The chapter heavily emphasizes federal securities law requirements as they affect each category. Whether you are counsel reviewing your company's policies to ensure compliance with applicable laws and regulations or you are trying to avoid future problems, Business Law Monographs, Avoiding and Resolving Disputes With Minority Shareholders, will help you comprehend the basic law regarding the myriad legal issues revolving around minority shareholders.